A genuine tremor went through the NSW batting line up on Friday afternoon, the game was as good as done in one spell. The most imposing bowling spell they’d seen in 15 years of 1st class cricket… And barely a bouncer bowled. Dear lord let him stay fit for the next 6 months. Not bad, think Carey will probably get the keepers spot though. Or a second spinner. But frankly I don’t really want Hazle in the World Cup side. Our most economic bowler and one who the conditions will suit the most? Stoinis will cost us the world cup this year. Been very poor with bat and ball, dont even think Watson was this poor. Yeah I don’t think it’s gonna do anywhere near as seam friendly as people think, especially late in the tournament. And I’d like Handscomb in there too but I don’t think he’ll be a starter with Smith back and they won’t drop Carey either. Will all be there or thereabouts come selection time. I wouldn’t have Lyon in the limited over games. Two frontline spinners is a formula that’s been working for the better international teams for a while. We have been too slow to catch on. Who would you have in his place? Someone who spins it away. Are there many off-spinners in any ODI teams? I wish we could forget Warner. He’s a fine natural batsman, but he’s challenged in the brainbox, and he’s a divisive influence. Let him play IPL, but keep him away from the Australian team. We don’t need him. I’m picking up your signal loud and clear. So Dean Jones was hard done by but we don’t need Warner for the same reason? Jones was stupider than Warner, but they’re both a major distraction. I’m with perce on this one. I don’t particularly want him back. He can turn it away from the lefties. Didn’t take any bags in the UAE but was our most miserly bowler after PC. I’d stick with him for the WC. Too late to blood a new bowler now anyway. Yeah, What’s winning or losing a WC matter. 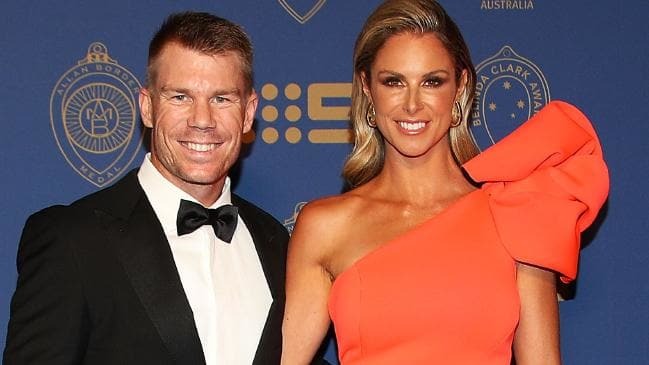 Need proof David Warner could be useful at the World Cup? Quote News Corp when it suits you. Unbelievable ending in the IPL. 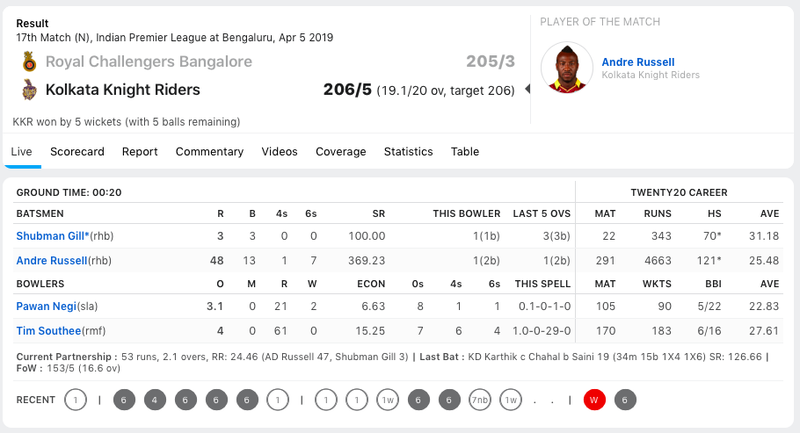 Kolkata needed 30 to win off 12 balls against Bangalore. Got home with 5 BALLS TO SPARE.